LOCATION! LOCATION! LOCATION! 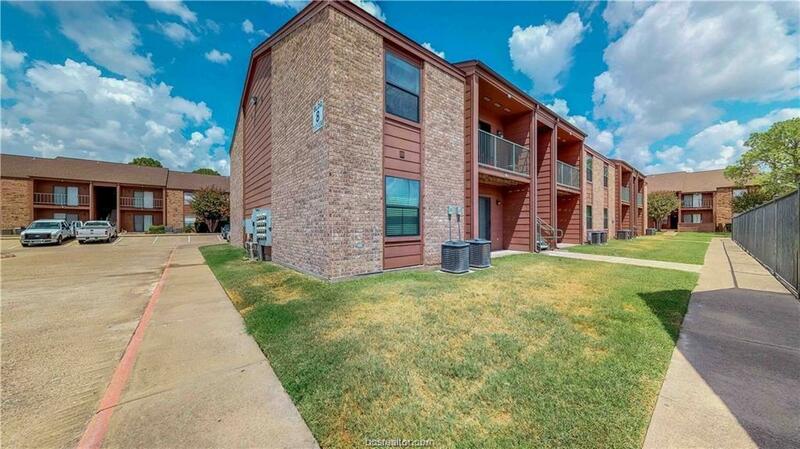 Cripple Creek Condos is a well maintained community located in the heart of College Station. Only minutes from dining, shopping, and entertainment! On TAMU Bus route, or a short walk to campus for work, school, and Aggie Game Days!! Great 1 Bedroom, 1 Bedroom with an excellent view of the pool and tennis courts. This building was newly constructed in 2012. 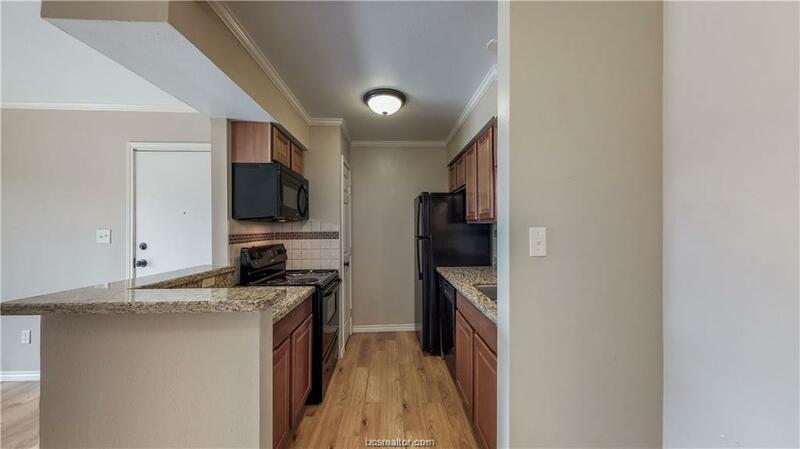 Granite countertops throughout, crown molding, new flooring, tub, and kitchen cabinets. 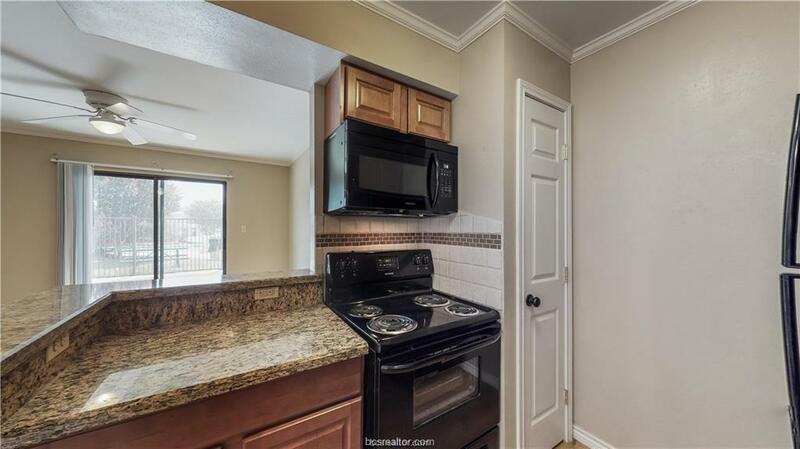 (All kitchen appliances will convey, as well as washer/dryer.) 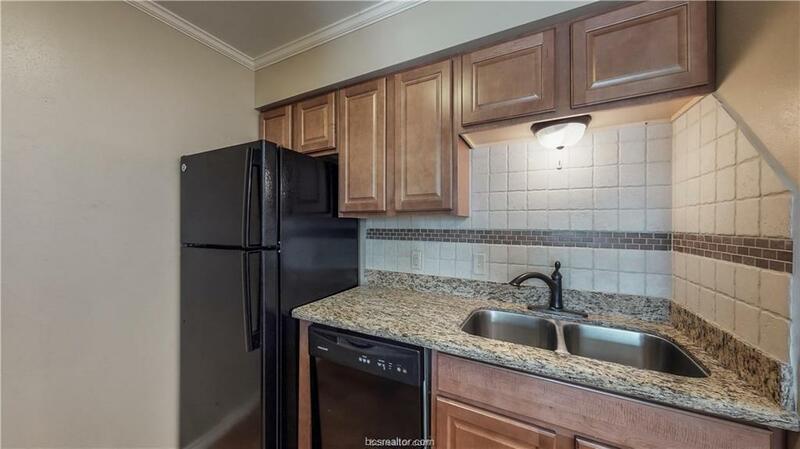 Condo is leased through April 30, 2019 for $800 per month. Listing information © 2019 Bryan-College Station Regional Multiple Listing Service. Listing provided courtesy of Kathy Scott of Real Estate Bcs.